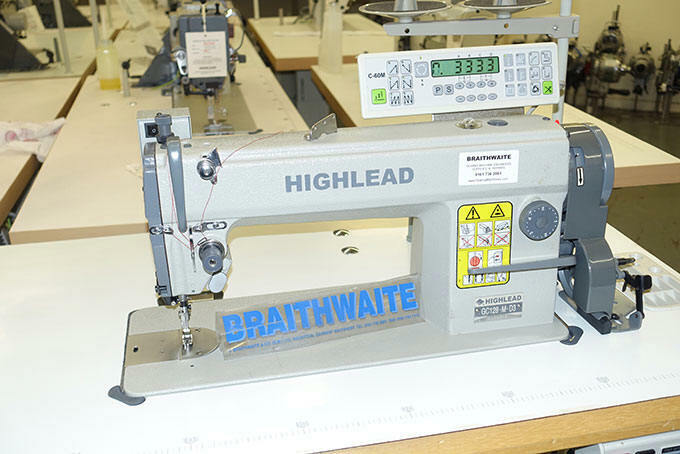 Highlead GC128-M-D3 industrial sewing machine with automatic thread trimmer, auto back-tack & operator control panel. Mitsubishi designed trim system included licenced full sized needle position servo motor and electronic control system. Nice condition, see photo, assembled with matching unit stand and table. Standard 13amp plug for home or factory use 220-240V.